There is nothing better than long rides in great weather. 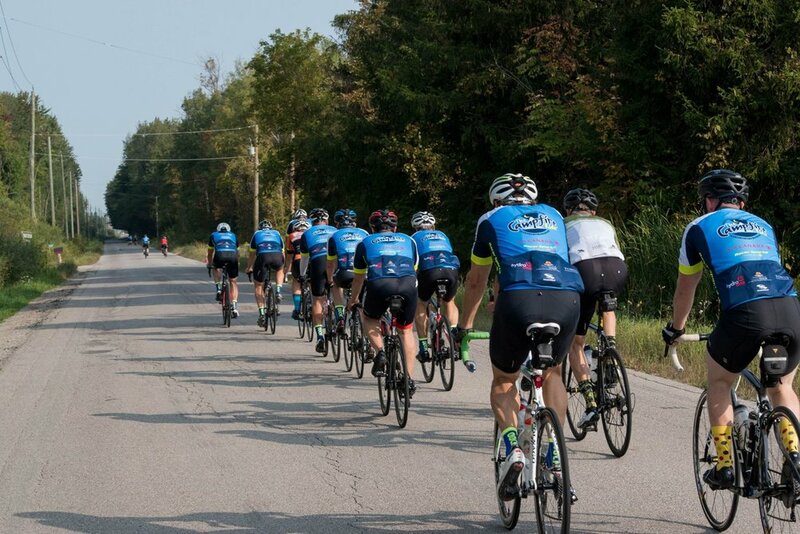 As we approach the outdoor riding season here in Ontario many cyclists are beginning to get the itch to leave the trainer behind and begin the 2019 season outdoors. With each new road season comes new goals, which often include pushing the limits of what kind of distance a rider thinks they are capable of. Each rider is different but for those getting into the sport a 100-kilometer ride or a 100-mile ride (160 kilometers) can be a great goal to work towards before the cycling season is over. For many cyclists, the inaugural 100-kilometer ride is one to remember. I certainly remember my first 100+ kilometer ride back in the day and was thrilled to have completed the distance, maybe a little more excited about the post ride snacks and meal which was much needed. There are two ways to work towards a new distance record out on the road, the more logical of the two is to work up to your goal, this can be done over a few weeks or months and includes a steady build-up of distance towards your goal distance. The second way to achieve a new distance record will likely keep you off the bike for a few days after the effort, even causing some serious soreness or injury if you go out and push your body to the limit with limited or no rides to prepare you for the effort. My personal preference to building up endurance for long rides to the build-up approach. Yes, it can look impressive to go out and smash a big ride in the early weeks of the season but there is nothing worse than being sidelined by injury or lack of motivation early in the season. If you are looking to improve your all-time distance record in 2019 here are a few tips and tricks to easily blow last year’s distance out of the water. April is usually the month that see’s most cyclists begin to sneak out onto the roads, with the days that much longer and the weather beginning to comfortably stay above freezing this first month of outdoor riding is a great time to begin to see what you are capable of after the long winter. No matter how much training you have put in on the trainer over the winter starting your first few weeks outside slow lets the body adapt to the demands of riding outside. Begin with some easy one or two-hour rides as you feel the bike out, ensuring it is functioning properly and if not, well get it into the shop for some service! There is nothing worse than having mechanicals or mishaps out on the road, especially as you start to venture further and further away from home. Once the bike is road ready and you begin to get comfortable with being back out on the road it is now that you can begin to train towards your distance goal. Everyone is different and cycling goals are always specific to the individual. My suggestion for training towards a distance goal is this, pick how far you want to go and divide that in half. Half of your goal distance should be a distance you are capable of riding comfortably, even try covering this distance a few times in one week. So, for those looking to ride 100 kilometers in one ride, try two back to back 50 kilometer days and see how your body feels. Once you are capable of riding half of your goal distance begin adding on more and more kilometers as you increase the percentage of your goal distance you want to cover. Try riding 70, 80 and 90 percent of your goal distance before looking to tackle the big ride. 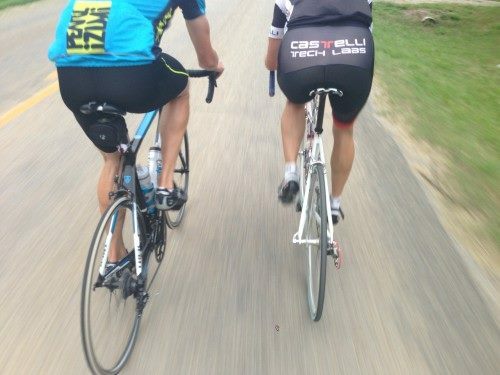 Riding with friends, cycling clubs and group rides are all great ways to train towards a goal. Not only is it more enjoyable to be out on a ride with others but a group will help you stay fresh on the roads as you can all work together to cover the distance, drafting is certainly a huge benefit as distances increase and you can save upwards of 30 percent while riding behind others. Not only is group riding a great skill to have for the many weekend rides but it is also essential for those looking to ride Gran Fondos or take a cycling tour/trip. There are some unwritten rules of cycling etiquette which when not followed in certain groups or rides can certainly upset some and lead to a less fun group dynamic. 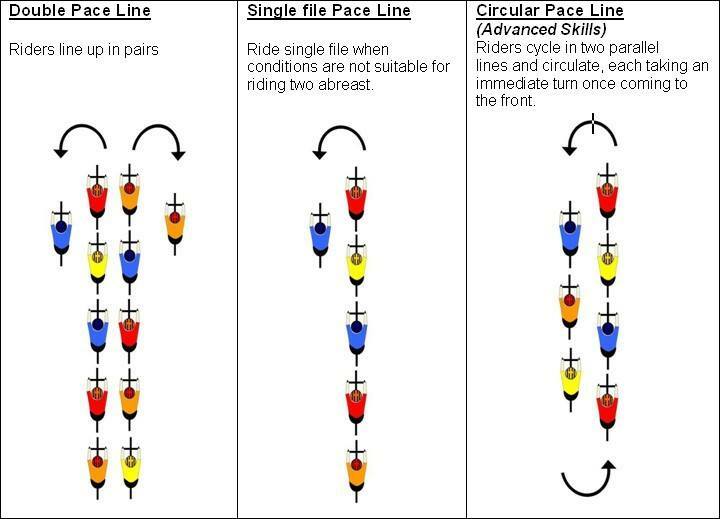 By getting out and riding in a group you can work on these simple skills which include proper two-up pace lining and avoiding the dreaded half wheel. For many riders this type of riding is probably well known, two lines of riders rotating off the front and to the back. Riders on the front are expected to communicate and changes in speed and any potential road problems ahead so the group can avoid slowdowns and crashes. This is the perfect definition of one of cycling’s unwritten rules, half wheeling is when two riders are riding beside one another and one of the riders is a bit more keen to push the pace than the other. Sometimes a rider may be doing this with good intentions to try and speed the group up but chances are if the rider who is being slightly distanced is not speeding up, it may be time to find a new partner on the front or back off and bring the group back together. Whatever your cycling goals are for the season get out and enjoy what the season has to offer! Join a cycling group or club and try to push the limits of what you think you are capable of, there is nothing better than achieving a new cycling distance record, I mean it lives right on your Strava profile! Just remember to respect the group ride and listen to your body as you build up your cycling base and work towards getting stronger on the bike.